Liposarcoma is a rare type of cancer and starts in the fat cells. Under a microscope, it resembles fat cells. It is considered to be a type of soft tissue sarcoma. Liposarcoma can affect the fat cells in any body part, but mostly occurs in the limb muscles or in the abdomen. You may notice a lump that can be usually painless, but growing slowly. 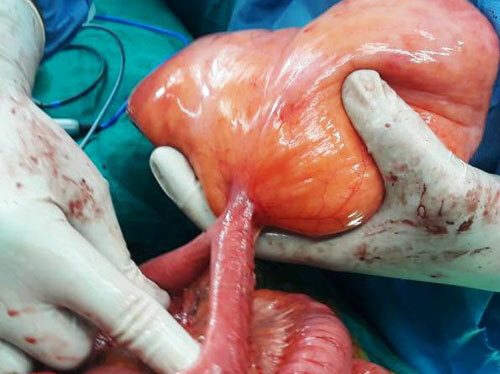 Unfortunately, abdominal tumors can grow to be quite large before they are found. Liposarcoma forming in the abdomen can cause abdominal pain, swelling of the abdomen, blood in the stool, constipation, feeling of fullness sooner when eating. 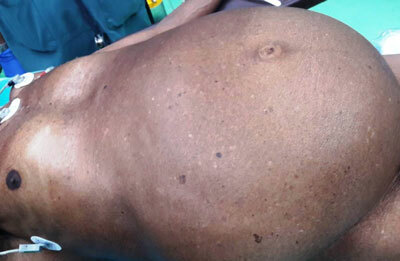 82-year-old man came in with onset of pain in the abdomen since one week, inability to have food since few days, and gradually increasing abdominal distension for past six months. On physical examination, his general condition okay, abdomen grossly distended with huge mass. CECT (High-dose Contrast-Enhanced Computed Tomography) revealed mass extending from diaphragm to pelvis: ? Liposarcoma. 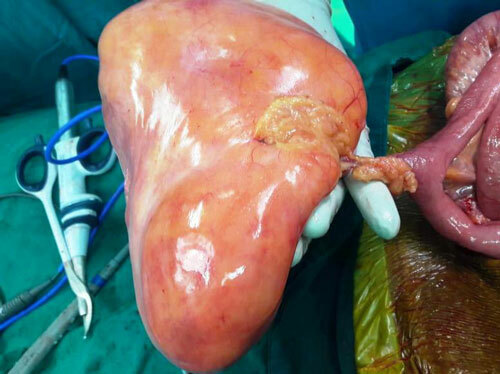 Midline laparotomy was performed, there was a huge mass in the mesentery of the large bowel. The mass was carefully separated and resected weighing 4.2 kg. There was another mass attached to the small bowel by single vessel causing torsion and obstruction of bowel. 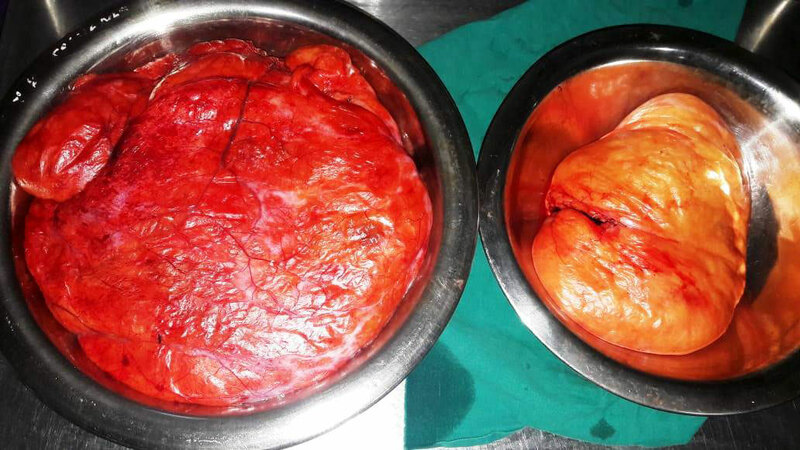 Derotation of the bowel was carried out, division of the feeding vessel was done and the mass was resected weiging 1.2 kg. Post-op recovery was good and the patient was taking normal diet.